As technology continues to shape and evolve the medical industry, the link between biometrics and medicine continues to play a huge part in how patients, physicians and healthcare facilities interact. There are two distinctive dimensions within the biometric field: Health biometrics and Medical biometrics. 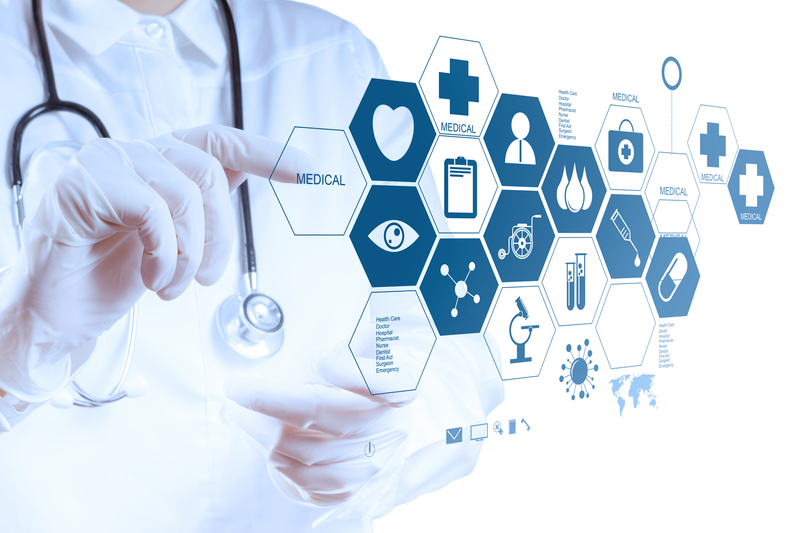 Both play an important part in the progression of how the medical industry continues to use technology to shape its systems in patient care and safety. What exactly is biometrics and why is there such a push toward using biometric data in the healthcare field? It provides a secure way of keeping patient and physician information private. Recent studies show that fingerprint recognition currently dominates the biometrics market by 50%, with projections of the technology to continuously grow. The use of biometrics also enhances the patient experience, providing an easier and efficient platform for healthcare professionals. As this technology continues to be implemented across the industry, the role of healthcare facilities will be affected, shifting the role of ER departments into dispatch centers. This will help patient outcomes, improve patient care, and allow treatment to become more specialized, allowing patients to also become empowered to participate in working to improve their health. Not only does biometrics help by establishing effective protocols, but also works on the administrative side to help in the reduction of costs and patient errors. Using electronic health records (EHRs) and personal health records (PHRs) has been a great development within the industry, and further developments in medical biometrics reinforce the successes of this system-wide approach. Will biometrics shape the future of healthcare as we know it? The answer is yes. Although there are many different concerns and challenges that consistently come to the forefront, companies and healthcare professionals embrace this technology as a viable solution to privacy-related issues. As this trend continues to grow, industry standards must be adequately developed to assist in alleviating any breaches that may occur within the different forms in use: voice, fingerprint, retinal and others. Additionally, there are issues with some systems that do not work as well as they should which poses a problem in the healthcare field. Systems in use must continuously be updated and protected against flaws and human error. As biometrics goes beyond retrieving records and shifts into how individuals pick up medications and other specialized treatments, cal fields. The most important thing to remember – consistency is key. With biometrics being used in a number of industries, there must be a level of security that is specific to the medical industry to ensure safety, security and a continued effort to abide by industry standards and HIPAA laws. New technology continues to automate and integrate biometrics into their systems, such as with coding compliance and other regulatory controls to hold individuals accountable for their work and errors. As the industry continues to shift, the healthcare and medical industries must shift as well. For more information visit revenuexl.com.